Fernando’s new book “Gilgamesh and Enkidu : Beyond Death” will be launched at the Göteborg Book Fair from 24-27 September. Join us! – Impressions from the launch of my new book “PACHAWAYRA, la memoria del vento”. 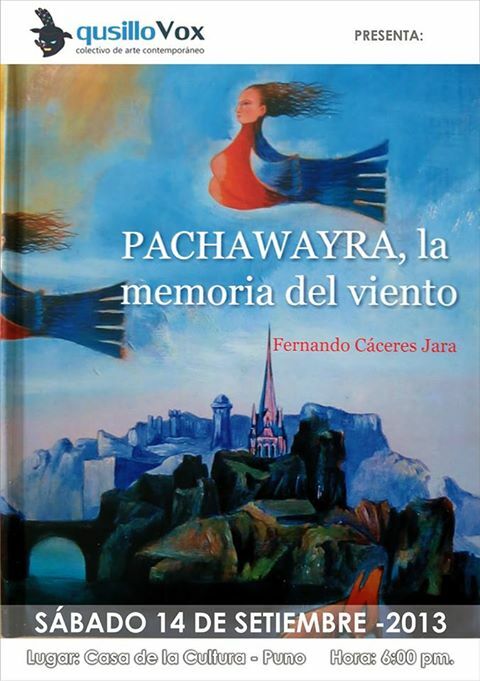 – REMINDER: Tonight, my new book “PACHAWAYRA la memoria del viento” will be launched at the Casa de la Cultura in my hometown Puno, Peru.